Credit management is the way you manage the money that you borrow from creditors; for example banks, store cards, mobile phone contracts and finance purchases. This information is held by credit reference agencies and makes up your credit profile. By monitoring your credit profile, you can also take action to improve it or correct information that's wrong. By managing your credit profile and checking that all the information shown is correct, you can ensure that you are seen in the best possible light by lenders or other organisations when they decide whether to lend to you. You can also take action to improve your credit profile, we'll send you a credit summary so you can easily track your credit score. If you're a member you can find out more by signing into your My Credit Tracker account and click on My Credit Summary. Your Credit Report is provided by Callcredit and is a summary of your financial background held by Callcredit and status and gives an overview of your credit profile, including your credit score and rating from Callcredit. It's often used by lenders, such as mortgage and credit card companies, to make decisions on whether to lend to you. It helps you to see what might be impacting on your credit worthiness and allows you to check that everything shown about you is correct. Incorrect information could impact your ability to get credit. Having a poor credit profile can result in you being turned down for a loan or being charged a higher level of interest. If you would like to know more about how you can correct something on your Callcredit Credit Report, read the FAQ 'I've noticed something wrong on my Credit Report. Can you help me?'. Your My Credit Tracker Credit Report is created by Callcredit, a UK Credit Reference Agency. It contains a summary of your financial background and status. Do I need to be a member to see my Credit Report? Yes. When you join My Credit Tracker, as long as the Callcredit can confirm your details, you will receive your Credit Report. Your first Credit Report will be posted to you (as an added layer of security) and then you can check it as often as you want either online at any time or by asking us to post you a copy. How quickly can I see my first Credit Report? As long as the Callcredit have been able to confirm your details, you can expect to receive your first Credit Report within five days. We post your first Credit Report to you, along with your membership details, to provide an extra level of security. After you receive your first Credit Report you can view the latest version online whenever you like, or call us if you'd prefer to receive a paper copy in the post. Who can see my credit profile? If you apply to borrow money or set up a contract, for example for a loan, a mortgage, a credit card or a mobile phone contract, the lender is likely to access your credit profile. Others companies with a valid reason may also do so. With My Credit Tracker you'll receive an alert to let you know when a company has looked at your credit profile. Can I add family or friends to my membership? No, because the information in a credit profile is personal to you. As long as the Callcredit have been able to confirm your details, we’ll post your first Credit Report to you along with your membership details, to provide an extra level of security. After that you can check your Credit Report any time online, or call us on 0344 381 4165* if you'd prefer a copy in the post. You will find your Callcredit credit score on your Credit Report. Your credit score is a number from 0 to 710 and is calculated using the details in your Callcredit credit profile (the summary of all your credit activity as reported to Callcredit). The higher your score, the easier you should find it to borrow money or buy goods on credit. A high score also means you're more likely to be able to get better deals with lower rates of interest. Each lender calculates their own score for you and they may take into account other information, such as information their organisation already holds about you, or your employment circumstances. Your score can change depending on who you want to borrow money from. Why is my credit score lower than expected? Assets, such as your savings, don't have an impact on your credit score. To learn more about ways to improve your credit score, see 'How can I improve my credit score and rating'. You can find out more in your Welcome Pack, or on the My Summary page when you're signed in to your online account. Or call us for more personal guidance on 0344 381 4165* . If you've signed in you can also take a Credit Assessment to find out more about the reasons you may have a lower credit score. Another FAQ that could be useful to you is 'How can I improve my credit score and rating'. One or two credit accounts that you don't often use can have a slightly positive impact on your credit score. However, if you have a lot of accounts that you don't use it can have a negative impact. This is because it may indicate to a lender that you might use all the credit available to you at once, thereby getting into more debt than you can manage. As a member of My Credit Tracker, you have full access to a dispute service which could help to correct anything you think could be wrong on your credit profile. We can't make the changes ourselves, because your Callcredit Credit Report is made up from information that Callcredit (the Credit Reference Agency) hold about you. But we can help you through the steps you might need to take to put things right. If you have found something that's wrong on your Credit Report call us on 0344 381 4165* . Who else can see my Credit Report? Your Credit Report is confidential. Only you, Callcredit (the Credit Reference Agency) and our accredited service team can see details on your Credit Report. All those with access to your credit profile information are only allowed to view it with your permission and only because we are doing so to help you. We do not share your information with anyone unless compelled to do so by law. Can I request copies of old Credit Reports? Yes, we keep a record of the Credit Reports you have received since being a member of My Credit Tracker, so you can call us and discuss an old Credit Report if you’d like to. If you have set up your online account, you will see the full history online and can easily access all of your old Credit Reports whenever you like. Just click on 'View My Credit Report' when signed in to your account. Yes it will, if it was within the last six years. This is because your credit profile includes six years’ worth of payment history. Late payments will have a negative impact on your credit score. Lenders usually look at the last six years of your credit history. Your printed Credit Reports will show you two years’ worth of your credit history. You can see the full six year view when you look at your Credit Report online. What sort of alerts do you send me? We keep an eye on your credit profile so we can let you know if there are any significant changes that might affect your credit score. This way you can keep on top of your finances and check that you were expecting the activity. For example we let you know about increases or decreases to balances, new credit accounts being taken out, missed payments and also settlements. We will always let you know if the activity has had a positive, negative or neutral impact to your credit score. If there hasn’t been any activity in a month, we’ll also send you an alert to let you know so that you can be sure we’re still monitoring your credit profile. How do I get my alerts? You will receive your alerts by email but you can choose to get your alerts by text message if you wish. You can also view all your alerts online when you sign in, by clicking on 'My Alerts'. You can change your alert preference any time if you're signed in to your online account, or call us on 0344 43 4165*. You can find out more in your Welcome Pack, or on the My Summary when you're signed in to your online account. Or call us for more personal guidance on 0344 381 4165* . You can see how your score compares to the rest of the UK by checking your credit rating, which gives you a rating from 1 to 5 stars. To understand more about your credit score and rating, see the FAQs 'What is a credit score?' and 'What is a credit rating?'. 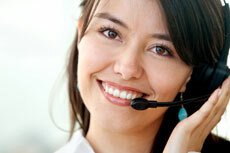 Your credit rating is produced by Callcredit and will be from 1 to 5 stars. It's based on how you compare to the rest of people who also use credit in the UK. People with the top 20% of credit scores in the UK will get a 5 star rating, with the rest of the ratings based on segments broken down by a further 20% each time. So, a 1 star rating will be given to people who have the bottom 20% of UK credit scores. No, checking your own credit report does not impact your credit score although it will show as a search. What can I do about my CCJ? If you have a County Court Judgement (CCJ), this will be shown on your Credit Report. The CCJ will remain on your credit profile for six years, although if you have paid it off it will be marked as 'satisfied' and lenders will see that you've settled that debt. The CCJ can only be removed if it is paid in full within one month of being issued. If you think the CCJ has been made in error, you should contact the County Court that raised the judgement - this will be on your Credit Report. You can find the Court's contact details either by searching online for them or by giving us a call on 0344 381 4165* . We can't get the judgement removed for you, but we'll help you get in touch with the right County Court. How can I reset my online password? Just click here and follow the steps to reset your password for your online account.. There are two ways to change your email address. You can either call us on 0344 381 4165* , or, if you've signed in, visit the 'My account profile' page and update your details online. You can change the account you use to pay for My Credit Tracker, we accept payment by either direct debit, debit or credit card. You can also change the date that the payment comes out of your account. If you'd like to make a change, please call us on 0344 381 4165* . How do I pay for My Credit Tracker? Payments are taken monthly, from the account you chose when you set up your membership. If you'd like to check or change your payment details, please call us on 0344 381 4165* . If we have not resolved your complaint to your satisfaction within eight weeks from when you first contacted us you may refer your complaint to the Financial Ombudsman Service for an independent review. The Financial Ombudsman is an independent public body which aims to resolve disputes between consumers and businesses. How do I cancel my My Credit Tracker membership? Please call us on 0344 381 4165* to cancel your membership. Lines are open from 8am - 8pm Monday to Friday and 9am - 5pm on Saturdays, we are closed on Sundays and bank holidays. Alternatively you can return the cancellation form by email or post. You can find a link to the cancellation form at the bottom of this page.